Courtesy Photo The 2019 Alpena boys track team from left to right is: front: Zach McDonald, Ashton Mill, Hayden Allen, Daniel Lowe, Quane Kimball, Jason Smolinski, Aden Smith, Josh Smith, Drew Seabase, Brendan Stepaniak, Blake MacDonald and Bob Sheldon; middle: Ben Adamak, Caleb Bullis, Derred Weitting, Isaac Wohlford, Wyatt Romero, Josh Hart, Ethan Heath, Dylan Fleck, Andrew Booth, Reginald Rambus, Craig Tagliareni, Zach Schaedig, Kody Bertrand, Caleb Zaborney and Arthur Paad; back: Andrew Knotts, Sam Romero, Gabe Bullis, Abraham Brege, Andrew Dargis, Brad Thompson, Ryan Voltz, Cooper Bright, Lucas Manning, Eli Winter, Allen Johnson, Haydn Goebel, Jacob Kochanski, Kolton Goebel, Jonathan Wieczorkowski, Wenton Harrison, Sam Tuscher, Jake Schiller, Westen Domke and Eli Rondeau; Not pictured: James Decker, Clay Donajkowski, Jadon Duncan, Austin Heath, Isaac Kelley, Josiah Matuzak, George Pilarski, Joel Tuscher, Zach Zaborney and Alec Zielaskowski. It may be difficult for the Alpena High boys track team to top what it did last season. But with a new coach and a team brimming with talent, the Wildcats are more than willing to try. Riffert is returning to a head coaching role for the first time since 2014 and is excited to lead a veteran group of athletes he’s familiar with. He was announced as Alpena’s new boys track coach in October, but has been an assistant with both the boys and girls track teams for the past several years. “(I’m looking forward to) being out there and being part of the program again; doing what I can to hopefully help these guys be successful,” Riffert said. Alpena’s experience starts with four returning Big North Conference champions, who will be anchors for the Wildcats in several events. 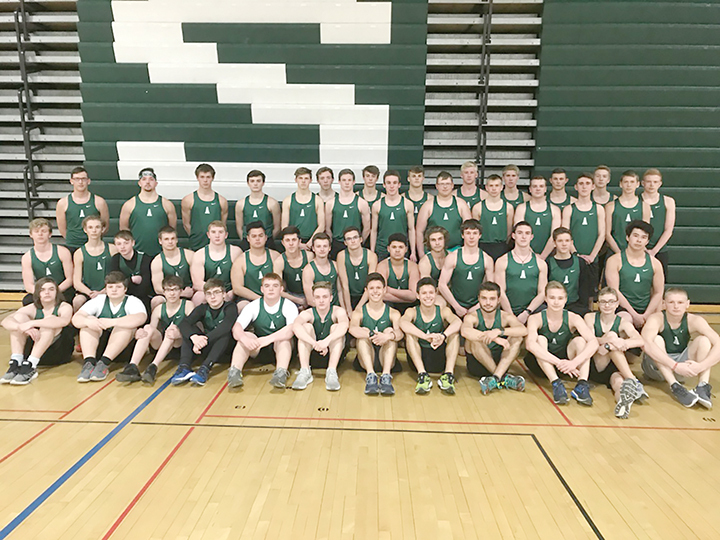 Senior brothers Aden and Josh Smith return to lead Alpena in the distance events after successful junior seasons, along with sophomore Drew Seabase. Last season Josh won the Big North title in the 800 run and Aden won the Big North’s 1,600 run title. Together with Aidan Day and Seabase, they won the conference title in the 3,200 relay. At the state finals, the quartet set a new school record in the 3,200 relay and earned all-state honors. Josh Smith also earned all-state honors in the 1,600 run and Aden Smith narrowly missed all-state honors in the 3,200 run, despite setting a new school record. Alpena’s other returning all-stater Gabe Bullis will return to lead Alpena in the pole vault for a stellar junior season. 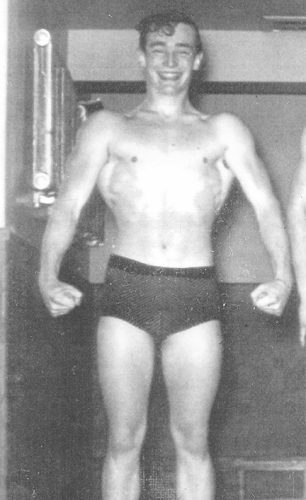 He finished third at the state finals last year while setting a new school record and also won the conference title. The Wildcats’ other returners include Jadon Duncan in the 400 run and sprint relays; Zach Zaborney in the long jump; Haydn Goebel and Wenton Harrison in the hurdle events; Goebel and Jake Schiller in the high jump; Bob Sheldon, Kody Bertrand, Dylan Fleck and Zach Schaedig in the sprints and Eli Winter, George Pilarski, Arthur Paad and Sam Romero among those returning in the throwing events. Winter has been an early standout in practices so far and Riffert likes the potential he’s showing. Having talent in so many events has Riffert hoping the Wildcats can have more than a handful of representatives at the state finals in June. Alpena has had a good showing in recent seasons with five male qualifiers last season and six in 2017. 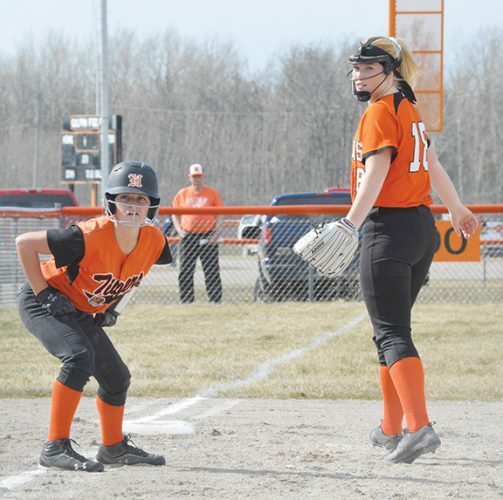 Before the state finals and before regionals, Alpena will focus its attention on staying competitive in the Big North. 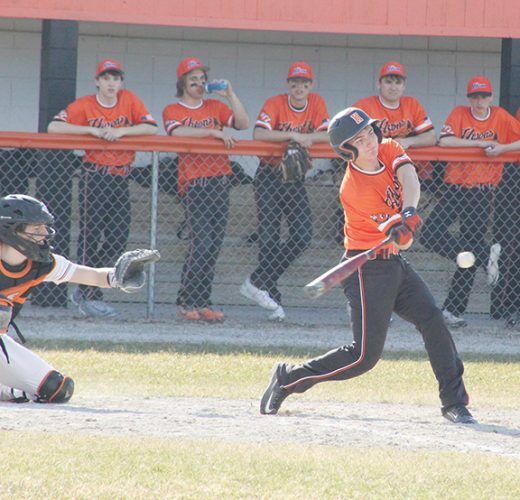 Alpena finished third at the conference championships last season behind Traverse City Central and Traverse City West and Riffert thinks his team has the talent to contend for the top spot in 2019.